Hi everyone, I am in total denial about back to school. Unfortunately, my kids only have 2 weeks left before the big day! So sad. But, good to get back into a consistent pattern. 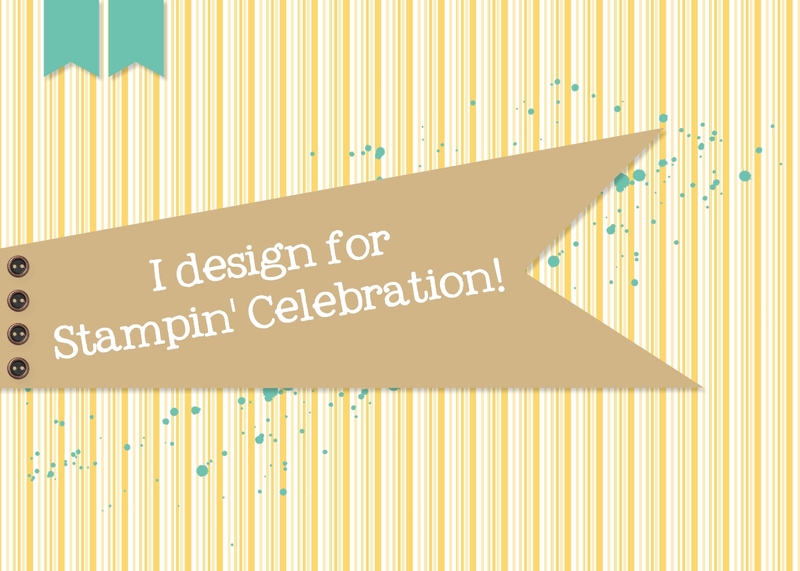 This months inspiration challenge at Stampin' Celebration #84 was fun to play with, although a little nostalgia hit me. My kids are in high school and middle school, and they won't give the cute back to school teacher gifts to their teachers anymore. I have to be creative now in how I acknowledge the teachers! For this sketch so many ideas flew through my head. In the end I decided on a chalkboard sketch and tried to incorporate the cute red school house! For the school house I used cherry cobbler cardstock and cut them to 1/2" and sponged the edges with cherry cobbler ink to add depth. The word window is from the Essential Wooden Elements. I sprayed it with a solution of alcohol and crushed curry refill ink and then stamped it with a greeting from Be the Star stamp set in the Stampin' Up! 2014-15 catalog. I added a little cherry cobbler baker's twine behind the word window. For the chalkboard I used stamps from the What's Up? stamp set as well as the greeting from Life's Adventures (a hostess set in the 2014-15 catalog). I used Versamark and embossing powder (white, crushed curry and blushing bride) and then rubbed a little whisper white craft ink on the black cardstock to give it a worn effect. Time to start getting the supplies in order. I have another staycation planned for next week. Lots of shopping in my future!